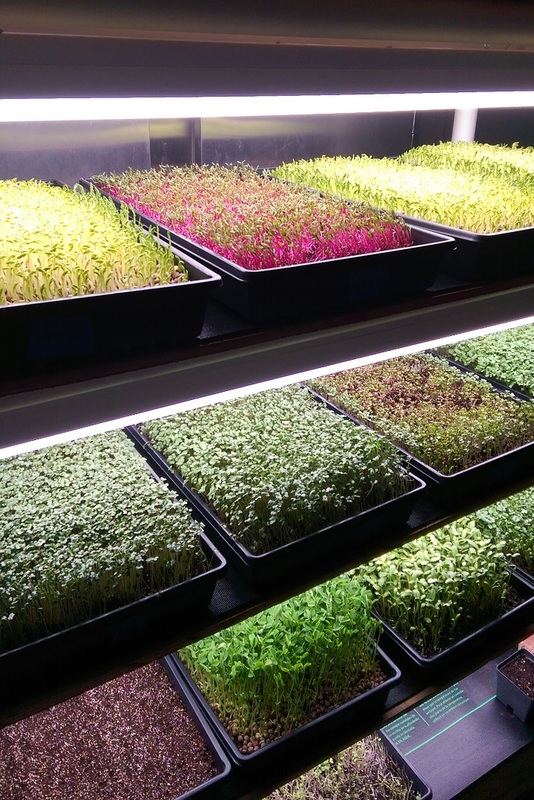 A few weeks back, we moved our Microgreen growing station into the old milkhouse of our barn. Today we completed an expansion, doubling our growing capacity. We have received orders from a few local restaurant and are talking with a few more who are interested and a couple of area caterers! It looks like we will be seeing green all winter! If interested, let us know. Email us or give us call to be put on our weekly availability update. We currently have Sunflower, Pea, Radish, Broccoli, Beet, Cilantro, Alfalfa regularly and are trialing Dill, Swiss Chard, Mustard, Arugula and putting together some mixed greens. We will be adding more varieties all winter! Keep a watch here!